The F5521gw offers true HSPA evolution speeds, 21 Mbps D/L, 5.7 Mbps U/L, giving users the fastest mobile broadband experience available in an embedded device. 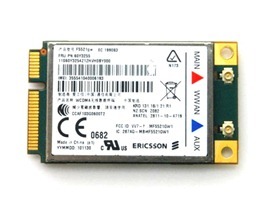 Mode: WCDMA/HSPA/GSM/GPRS/EDGE. Version: 6.5.1.5, 30 Oct 2011.